It’s one of the best breeding grounds for whales in the world – about 40% of the world’s Southern Right Whales come to breed here annually. 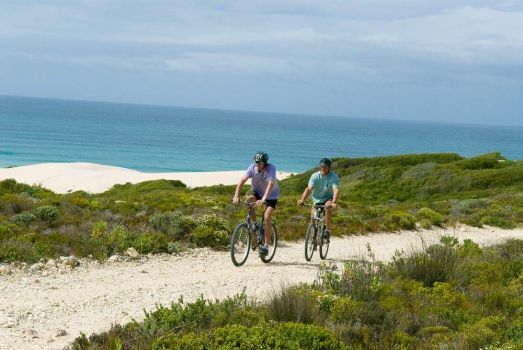 De Hoop’s has one of the largest protected marine areas in Africa. Secluded beaches make wonderfully scenic hideouts for swimming and picnicking. There are 7 different eco systems at De Hoop, supporting no less than 1 500 plant species, 86 mammal species and 260 bird species. It’s an easy scenic drive from Cape Town and Hermanus. Go on a guided Bird & Fynbos walk.